An Overview of NEPA. General Concepts and Requirements. 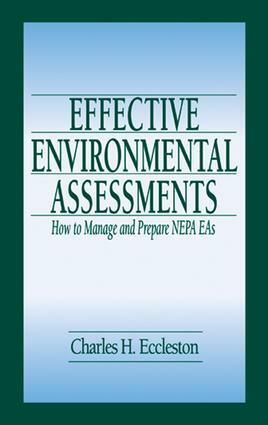 NEPA's Concept of Environmental Impact Analysis. Determining if an EA or EIS is Required? The Environmental Assessment Process. Writing the Environmental Assessment. Special Topics in Environmental Analysis. The Finding of Nonsignificant Impact. Summary. Appendices.